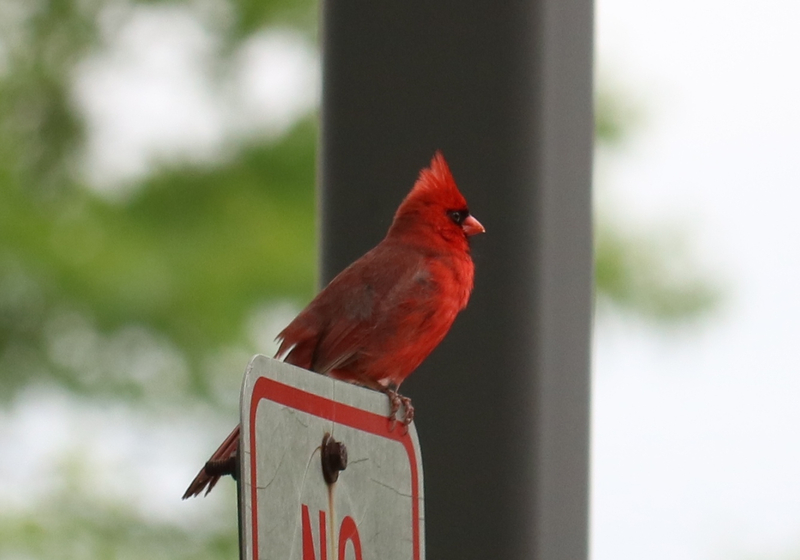 Reader Liz Strahle sent us some lovely bird photos. Her notes and IDs are indented. 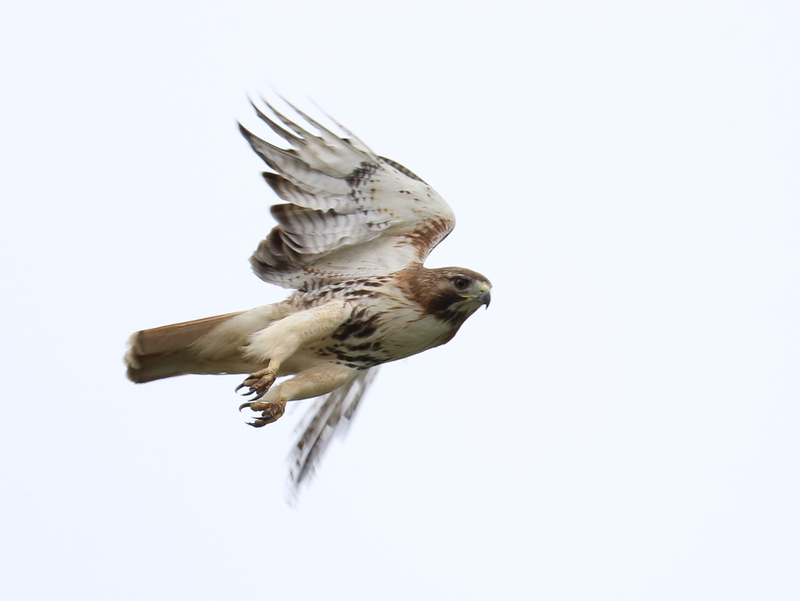 Here are some wildlife pictures. 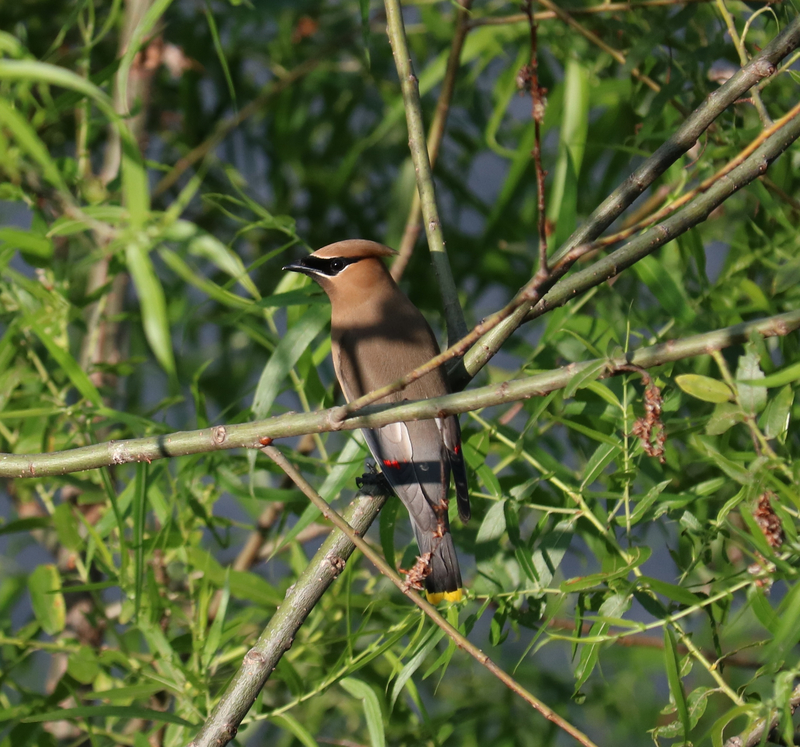 The house sparrow, cedar waxwing, and double-crested cormorant are new birds for me. 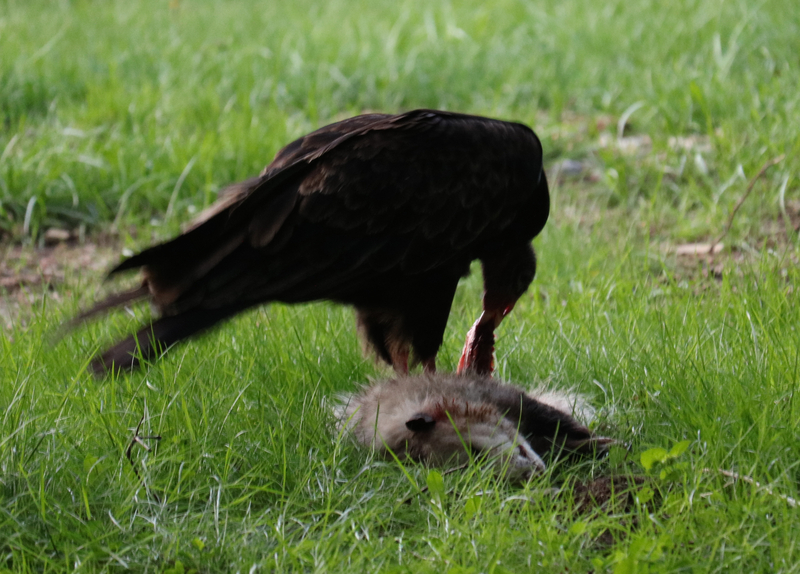 There are a couple of turkey vultures eating dead animals. I believe the first one is an opossum. The second dead animal might be a beaver or a groundhog. 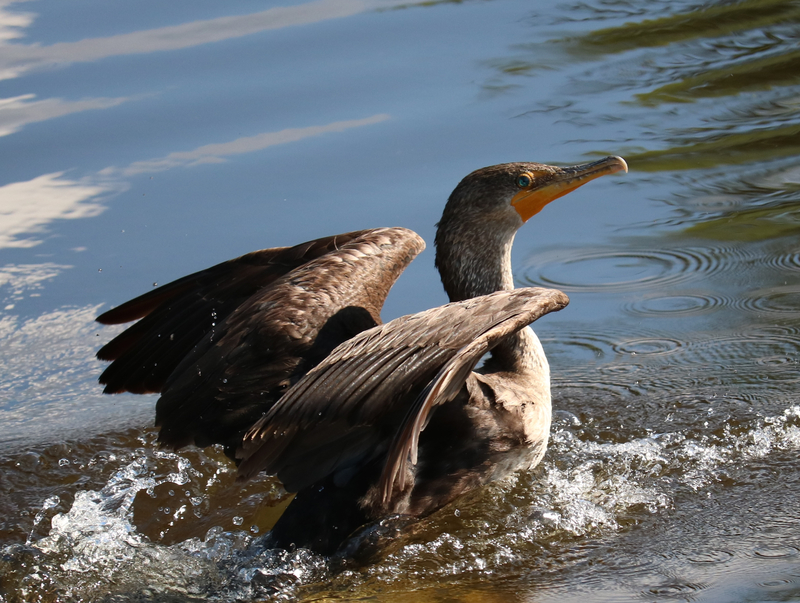 The double-crested cormorant’s eyes appeared to be turquoise. 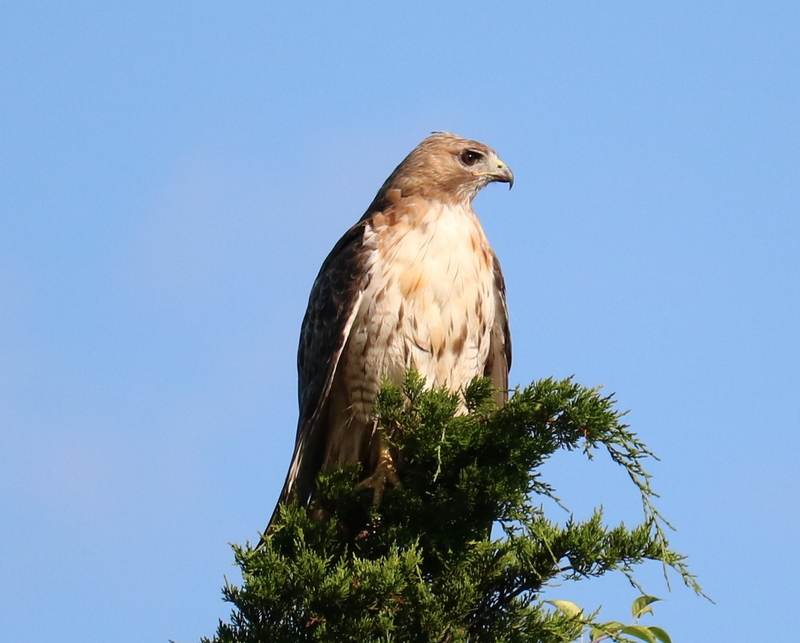 I believe this one is a juvenile. I think I mentioned that picture in one of the duck posts in a comment a little while back. When I took the picture, I really had no idea why they were standing on one foot. It looked like they might be dancing even though that was probably not what they were doing. 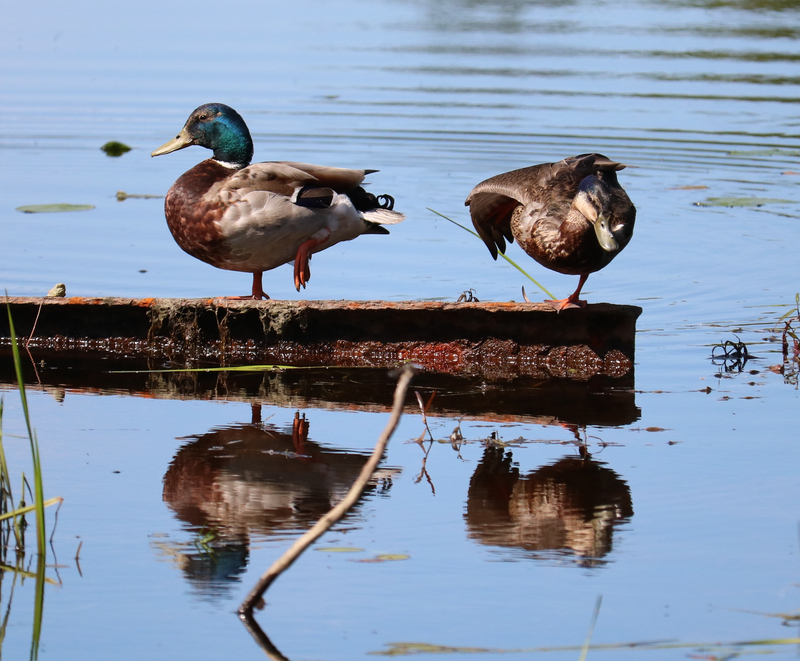 When I saw your post about Honey standing on one foot, I thought of those ducks. Someone in the comments suggested that it might have something to do with thermal regulation or something similar. That seems to make sense but I don’t know. Observing the turkey vultures gliding so beautifully is one of the reasons I became interested in birds a few years ago. They are just so beautiful. 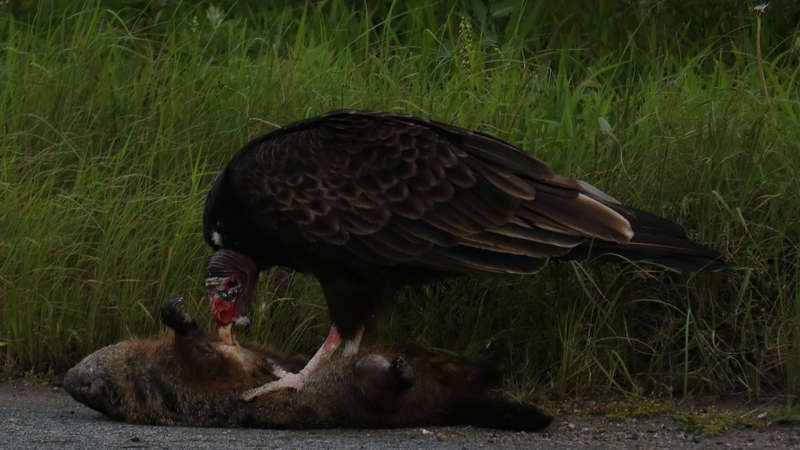 When I captured the shot of the first turkey vulture with the opossum, I was thinking, “Um….they are still…um…really beautiful.” Ha. When they glide together like pairs of figure skaters, they are mesmerizing. 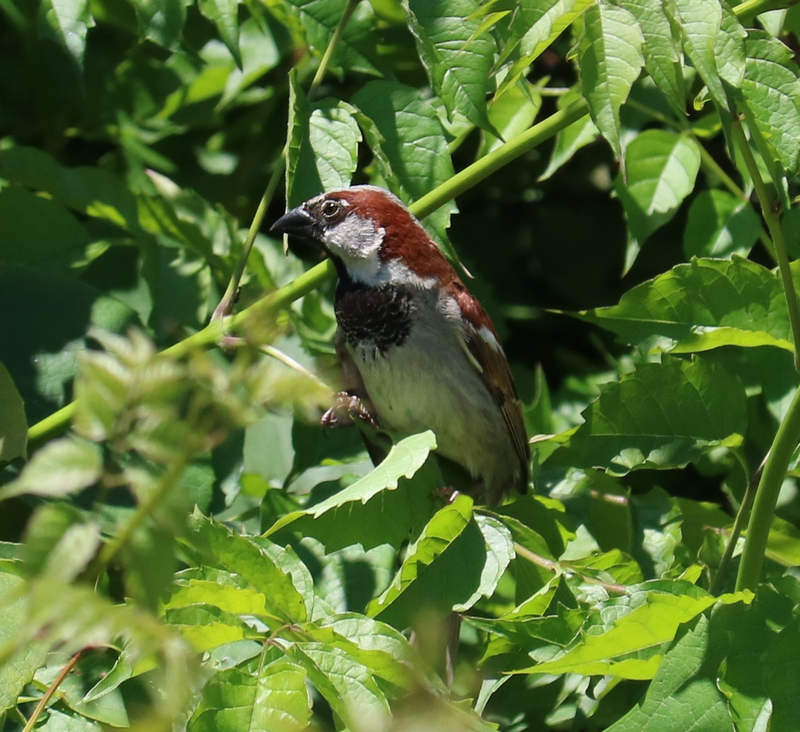 This entry was written by whyevolutionistrue and posted on August 29, 2018 at 7:30 am and filed under birds, photography. Bookmark the permalink. Follow any comments here with the RSS feed for this post. Both comments and trackbacks are currently closed. 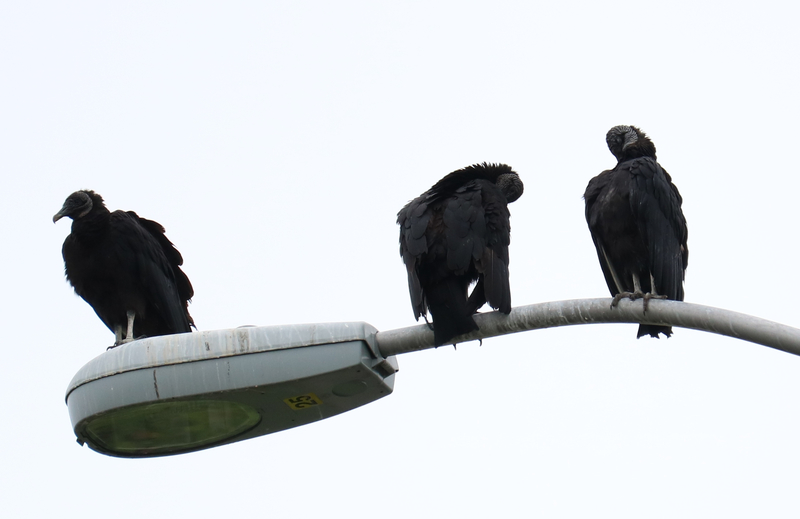 These vultures and hawks though… You always know they eat this way but it’s a different thing to be watching them do this. I think the buzzard picture got posted twice and the cormorant picture didn’t get posted. Yep, I’ll fix that now .Thanks! 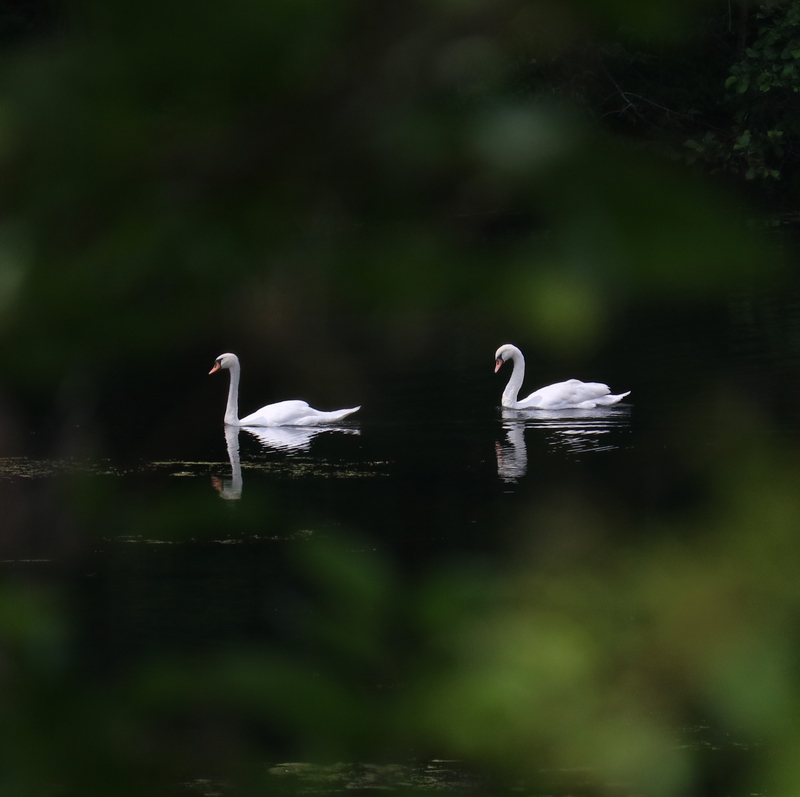 These are great…I especially like the mute swan photo…it’s like they’re floating in outer space. Learned not all that long ago from an architect pal – the trade term for those ugly highway lamps the vultures are standing on is: Cobra. They may be ugly, but they’re Dark Sky friendly. Nice photos, thanks! Definitely a groundhog.